I know, I know…..please contain yourselves. Oscar’s (a local favorite restaurant) made it to the daily commentary. I know a good wing when I eat one, and that strip-mall-dynamo of a dive did not disappoint. In the same somewhat lateral eureka moment of “hot ice” (“Rookie of the Year” anyone?) the char-buff wing has struck a chord with legions of wing fans. 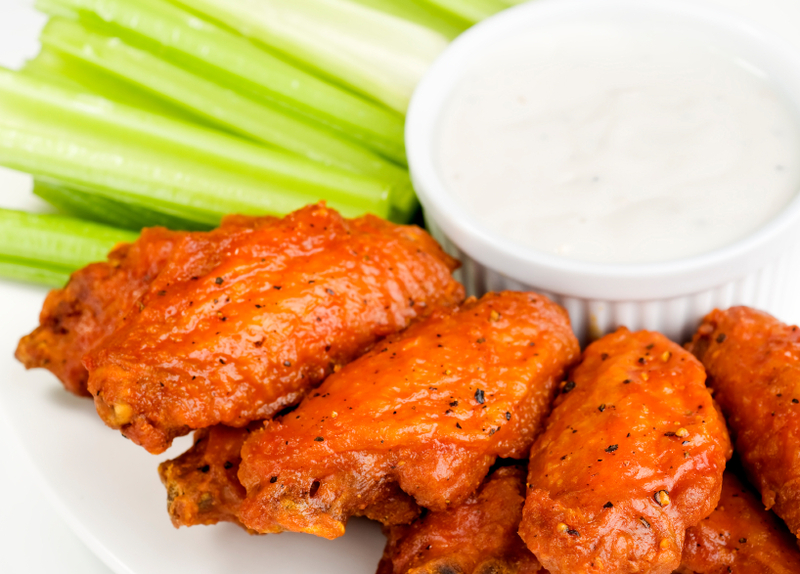 Here comes the economic layering: wing prices were at all-time highs just a short time ago. In fact they went from $.77 a pound in June of 2011 to $2.04 a pound this February. Why the price spike? Chickens eat corn as their primary source of feed. When corn prices sky rocketed on draught concerns last year, the price of chickens followed in line. Couple that with one of the largest wing players on the street running a limited time special and we saw McDonalds drive the prices even higher. Since wings are a fortunate byproduct of the typically more profitable breast, farmers don’t alter supply to meet increased demand. Otherwise they would have an unfortunate and more expensive byproduct in the breast. Fast forward 60 days and we have seen wing prices plummet. They followed the price of corn – down around 25 percent. Might the $.10 wing return to a special spot near you? Companies like Buffalo Wild Wings cite wing costs in their swinging margins and have been forced to alter the way consumers order. It is no longer an order based on number of pieces, but rather on precooked weight. Makes sense, I am not sure I have ever met a wingette that had a fighting chance against a drumette. Speaking of BWLD, they reported Monday night and you guessed it….. Wing costs ate into margins and analysts were none too pleased. However, it is still up about 30 percent YTD. Doesn’t look like portion control scared consumers too much. Remember that food costs lag margin impacts, so might this be a buying opportunity after the stock shakes out?